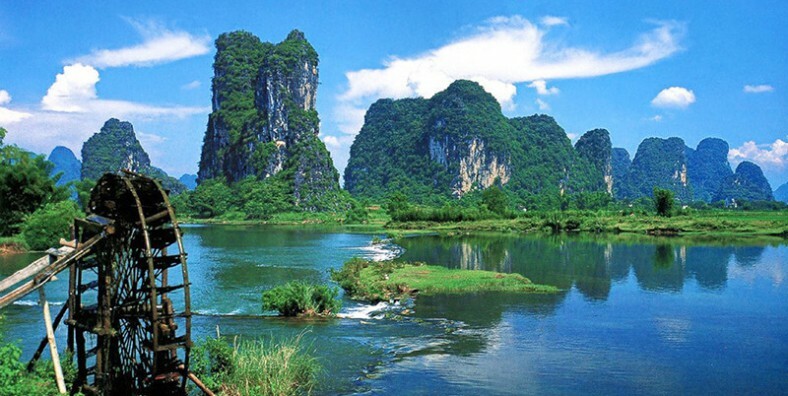 There is no doubt that traveling Hong Kong and Guilin by train is the most comfortable and safe way. During this tour, we will take the high speed train to visit the famous sites in Hong Kong, Guangzhou and Guilin at a budget price. Take the high speed train traveling around. Appreciate the highlights of Hong Kong, Guangzhou and Guilin. Today we will explore Hong Kong city. The first stop is Victoria Peak – the highest mountain on Hong Kong island. Then transfer to Aberdeen fishing village and take a ride on the boat. Afterwards continue today’s tour with Repulse Bay and Stanley Market. Known as the Hawaii of Orient, Repulse Bay is the most wonderful bay in the region in crescent-shaped. Stanley Market is another must-go attraction of Kong Kong tour, which is a typical example of a traditional old open-air market known for its bargains with many shops selling souvenirs. Today we will take 2-hour high speed train to Guangzhou. Upon arrival, met by the local guide and transferred to start today’s Guangzhou tour. The first stop is Sun Yat-sen Memorial Hall. It is an octagon-shaped building in Guangzhou in memory of Sun Yat-sen. Built with funds raised by local and overseas Chinese people, it houses a large stage and seats 3,240 people. Then move on the tour to Yuexiu Park, the largest comprehensive park in downtown Guangzhou, only 20 minutes drive away Liurong Temple. The main attractions include the stone Five-Ram Sculpture, Zhenhai Tower, the site of the Ming Dynasty City Wall, and Square Cannon Site. Afterwards we will visit Temple of Six Banyan Trees. With a long history of about 1,400 years, it is one of the four best Buddhist temples in Guangzhou. There is a rich collection of cultural-relics. The last stop of today is Ancestral Temple of the Chen Family. With a history of more than 100 years but still in its original shape, it is the largest, best preserved, and best decorated ancient architecture existing in Guangdong province. Today we will take 3-hour morning train to Guilin. Upon arrival, met by the local guide and transferred to the hotel for a rest. In the afternoon, visit the Reed Flute Cave and Elephant Trunk Hill. Reed Flute Cave is the “Palace of Natural Arts” with beautiful stalactite and stalagmite formations illuminated by colorful lights. Elephant Trunk Hill is the symbol of the city of Guilin, which got its name because it looks like an elephant drinking water. In the afternoon, disembark at Yangsuo and check the hotel for a rest. Then walk around West Street to find a lot of unique shops selling traditional handcrafts, hand-made scarfs, snacks of local flavor etc. In the evening, experience the splendid evening performance Impression Liu Sanjie(optional) directed by famous director – Zhang Yimou. 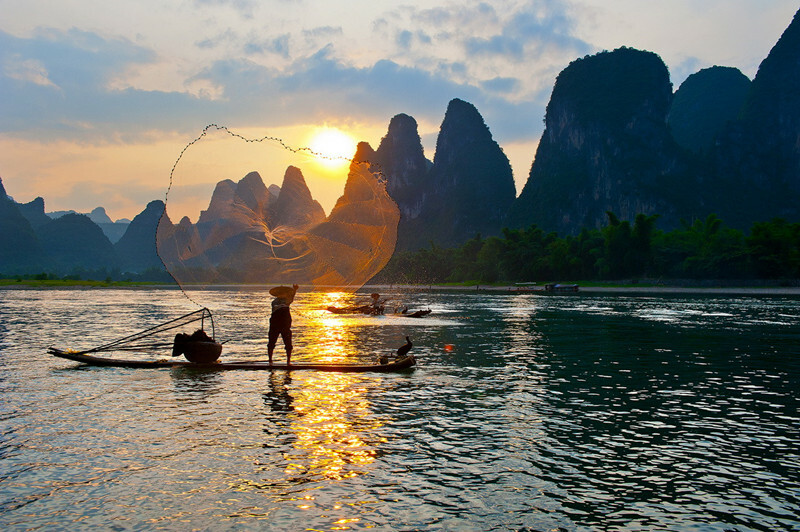 Today we will explore the countryside of Yangsuo to enjoy the beautiful natural scenery of Yangshuo. There are two means of exploration: by cycling or by sightseeing bus. After the tour, transferred to the airport or train station for your flight. Service ends.